Today I don’t feel funny and I don’t feel creative. I lost someone Sunday, April 15, 2012. Someone really close to me, and I knew I would lose him soon but that doesn’t seem to make it any easier. I’d watched him deteriorate through the abyss of Alzheimer’s disease for years, and for the past year have seen his steady decline. The man is my father, who lived an ordinary life, and the life he wanted to live. He was a better father to his children than his father was to him, which I found quite extraordinary. How can a man be better at fathering than what he had known? My father did it. He had four brothers and one sister, and was known as the “nice one”. The others were apt to be a part of fights and various altercations in bars and roller skating rinks around town. My Dad was the one who calmed everyone down and got them to see the other side. All he wanted was to have a family, and be moderately successful, and be able to eke out a living, since he was uneducated (having dropped out of high school at 16 to join the CCC in order to help out his family during the Great Depression). He was the kind of guy that everyone liked, they knew he’d never cheat anyone, that being known for his honesty and integrity would always be more important than wealth. And he always said he’d been lucky in his life, and that seemed to be true. Whenever it looked like the end of the financial road, as he was starting up his business, something would happen to kick it down the road a little further. Everyone loved his stories and while not always politically correct back then, he did tell one funny joke. I’ve seen him entertain groups of twenty people with his rendition of the “Dippy Dippy Blue Cheer” story. I wrote an essay about him, to be entered in a contest sponsored by Real Simple magazine, which of course didn’t go anywhere. I’ve never won anything in my life, not raffles or lotteries or even football pools, let alone a contest where I’d be judged against my better peers. The essay was to be about the first time you knew what love was. Kind of a sappy topic, but I decided to try it. Here it is, dedicated to my Dad. It was the 1950’s and give or take a year, I was seven years old when I was introduced to the joys of asthma. But this story isn’t about me, it’s about my father, and what happened as a result of my illness. My dad grew up poor. His family was not wealthy, not well-to-do, not even middle class. They might qualify for food stamps today, but back then they muddled along and each day was a challenge. He didn’t finish high school but went into the CCC to help the family, then to work in the oil fields, then into the army where he fought in World War II. Along the way, he met my mother and fell in love. After she came into his life he wanted different things. Marriage, family, respectability and hope for a better life. And he got that better life. We struggled some, but not more than other families. He worked hard at his sales job during the day, and fixed up our rundown house at night, and still found the time to be a devoted father to my brother and me. We didn’t eat meat every day, sometimes it was a pancake supper. Dad liked to pour the batter onto the hot griddle in shapes. Big pancake stomach, smaller pancake head, dribbled arms and legs. It’s Pancake Man! In his excitement, my brother banged on his highchair and spilled his milk. My mother complained. Oh, it’s just a little milk, Dad said. What can it hurt? He was the calm one, the patient one, the one to be counted on. What’s a little milk on the floor? He asked. To be fair to my mother, she was the one on her hands and knees cleaning up the milk mess. She wanted everything just so. My parents took my brother and me to a strawberry farm one afternoon, owned by friends of theirs, a couple who had two kids around our same ages. We, the kids, raked up a big pile of hay in the barn and jumped in it. I tried to ignore the sneezing, and the itchy eyes that came on, but at some point I became very uncomfortable and took refuge in my father’s familiar arms. I was scared and felt bad and was probably crying, which didn’t help the fact that my chest had tightened and I could hardly breathe. My parents were alarmed and we left for home. I recovered from that bout, but once started, the episodes became more frequent, until I was a full-blown asthmatic. It seemed after that first time, I became short of breath while doing things I had previously done with no problem. I couldn’t run or ride a bike or jump in leaves. They took me to many doctors, the family physician, the allergist, even a chiropractor at one point, although to this day I’m not sure why that would ever have worked. Someone probably suggested it, and my parents tried everything. Eventually, a round of allergy shots was suggested. I had bad reactions to the injections and twice ended up in an ambulance on my way to the hospital for a dose of adrenaline. And while I was a bit of a drama queen and enjoyed the attention that being rushed to the hospital in an ambulance afforded me, it was stressful for my family. What can we do? My parents asked. You might consider a different climate, warm, and dry, without the dampness and the pollen, the doctor said. Mom and Dad thought about it, and discussed it. They also talked to other people who knew this person and that person who had moved to Phoenix, Arizona and it was a miracle, the people said, because the asthma was gone once they got there. My parents made their decision and sold the house and most of the furniture. Dad hitched up a U-Haul trailer to the old Mercury and we set out for Phoenix. It was exciting for my brother and me, an adventure. We’d never stayed in a motel before, we were moving to a big city, and we would be the “new kids”. We were thrilled, with the mystery of what would happen next. What happened next wasn’t good. We rented an apartment in a complex of eight, four on each side, which looked like Army barracks, built with concrete blocks, with cement floors painted brown. There was an eat-in kitchen, a living room, two bedrooms and a basic bathroom. It was a dreary place and Mom felt we needed to have modern light-colored furniture now that we were living in the Southwest, so we bought tables and chairs in a color called “blonde”. It seemed ugly to me, uncomfortable and temporary. The living conditions were less than perfect, but worse than that, I was allergic to Bermuda grass which was grown in Phoenix because it could withstand the dry climate. I wheezed in Arizona as much as I had in Western New York. It became clear, it wasn’t going to work. We had sold our belongings and moved to a strange city where we didn’t know anyone only to find that I wouldn’t be any better there than I had been “back home”, as we now called it. It will get better, Dad said. It will get better. The refrigerator had a short in it, and could give you an electric shock when you touched the metal handle. It was a random occurrence, but we were always afraid of it. One day my mother had her hands in dishwater and turned around and grabbed the handle and got a shock that literally froze her where she was, unable to move. I pushed her hand away to free her and got a shock too. It was just about the last, worst thing. That day, the day my mother had nearly been electrocuted, my father cried. I will never forget that day. He came in from work, and she was in tears and I was sick with wheezing. He wept. I had never seen it before and realized he felt deep disappointment, and regret, and fear that there wouldn’t be anything that could help me. And utter sadness that it had been a mistake and it wasn’t going to “get better”. That was the day I first knew about love. I looked at my father, my strong, invincible father, as he sobbed at the kitchen table, and I felt such an overwhelming love for him, my Daddy, that my throat tightened, and I couldn’t talk about it, and I couldn’t feel anything but that, and I knew I’d do anything to make his tears go away. If only I could not be sick anymore, that would make him feel better. We went back home. We’d only lived in Phoenix one month. My parents looked at it as a learning experience. That if they hadn’t tried it, they would have never known for sure, and would have always wondered, what if? We muddled through those years when I was a wheezy kid, then adolescent, and I stayed away from dogs and cats, and dust and pollen, and hay and strawberry farms. Until, when I was a teenager, the asthma nearly disappeared. I was one of the lucky ones who “grew out of it”. I never really appreciated my parents when I was young, as many children don’t. I didn’t know anything else. I didn’t know there were families who fought, who abused each other, who didn’t support one another. My father was always the strong one, the funny one, my tall, good looking Daddy. He became successful in his life, and he was always a faithful husband and the best father any child could ever hope to have. He was a perfect father. There was nothing he did wrong, not once. But I didn’t think about how much I loved him until that day, when he needed to be loved, when he couldn’t be strong for us any longer, and became vulnerable and defeated and lost. He taught me to tie my shoes, and now I help him tie his. My father has Alzheimer’s, and is in the mid-stage now, that dreadful time between knowing and not knowing. He is afraid, and confused, and I would give anything if he did not have to go through this. I think about that day, when he cried, nearly every day now. He’s probably forgotten it, but I never will. The day I learned what love was really all about. When someone else became more important than myself. When his needs trumped mine. When I thought, I really love this person, my father. Every child should have such a father. This entry was posted in Alzheimer's, Death, Other Stuff and tagged Aging parents, Alzheimer's Disease, baby boomers, Real Simple essay contest by Lynn Schneider. Bookmark the permalink. Thank you, Penny. We all go through it, and even though expected, it isn’t easy. Such a lovely testimony of your father’s character. Sorry to hear about your loss. It sounds like he was a wonderful man. Thanks Carrie. He was a wonderful man, and will be missed. Thanks for your comment. That’s a nice tribute to your dad. The essay pays good tribute to his character. Sorry to hear of your loss. Thanks, Eliot. I appreciate your saying this. There are no words…that’s how wonderfully touching this is. Your Dad was an amazing true gentleman – not many like him anymore. You have my profound sympathy, Lynn. Thanks, Sue. And you know how I’m feeling having gone through the same thing so recently. Even though we say “it’s for the best”, it’s hard – when you remember the good times. Thanks, Sandy, for this, and I will so look forward to our next time together. i feel, on the one hand, that it is a better thing, that he no longer goes through what he was experiencing, and at the same time feeling really bad about it and missing him as heused to be. Lynn, I loved reading your tribute to your dad. I Do remember your dad, and ironically, I was in Olean over the weekend and on Sunday when we were leaving, I looked down 9th Street at Trinity Methodist Church and thought about all the years that we went there and who some of the people were. The Rockwells, The Snowdeals, The Godfreys, The Stadys, The Gelders, The Crainers, and The Voorhees. That would have been the day that your dad passed. Was he still living in Olean? I remember him as a tall, strong, good looking man, and now I know even more about him. Wonderful writing Lynn. Documentation of those incredibly wonderful years of our lives (weren’t the 50’s the best?) are such a wonderful gift to our children. I recently journaled some of my early memories and gave it to my sister. She loved it, but when my daughter read it, and I saw how amazed she was with it, I realized it was so important and valuable to have done. My best friend’s husband is in the middle stage of Alzheimers at 69, and it has been a tragedy to watch him fade, and so confusing to remember the good old days and how he would pilot the big C130 planes all over the world. I feel your pain that you have gone through. Thank God for your wonderful memories. I am sorry for your loss. It doesn’t matter how old we are when we loose a parent, it is still so difficult. Is your mom still living? Where is your brother Jeff living? Just curious, I know you write a lot, have you ever read “Don’t Let’s Go to the Dogs Tonight” or “The Glass Castle”? I loved both of those books. Take Care, and keep writing!!! Glenda, I remember all those families too! And the Manleys and the Wardians, the Fishers and the Derx’s and the Brooks’ and so many others. Wow, It brings back a few memories, that’s for sure. Thank you for reading and commenting, Jeff is living in Olean, and I will be with him for the weekend as we celebrate our father’s life. My mom died in 1979, and my Dad remarried Jan Jewell and they were married for 31 years. She, Jan, survives. She is 86 and misses him terribly. But then, she misses the man he used to be, her best friend. 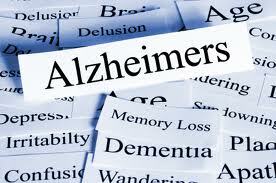 Alzheimers is tough, it just might be the worst thing we have to deal with as we age. What could be worse really? I’m going to check out these books you’ve recommended. I always like to check out what others like to read. Thanks so much for your kind words, Glenda. Wonderful tribute to your father, I am going to send the link to it to my father Charles V Briggs, he graduated from Olean High School Class of 1949. While in school my Pops held down many odd jobs so he very well might remember your dad. Thank you, Dot. My Dad knew a lot of people, it’s possible he knew your Dad. I hope so. LYNN, SO SORRYTO HEAR ABOUT YOUR DAD. HE WAS AN AMAZING MAN ALWAYS PUTTING HIS FAMILY FIRST. YOUR LOVE FOR HIM SHOWS IN YOUR DEDICATION TO HIM. IT IS REALLY HARD TO WATCH SOMEONE DETERIORATE AS YOU HAVE. I DID WITH MY HUSBAND THIS PAST YEAR. MY THOUGHTS AND PRAYERS ARE WITH YOU. Linda, I am so sorry for your problems with your husband. And thank you for saying this about my father. I was completely overwhelmed by your article about your dad. Was probably the BEST thing I have ever read regarding family love. My dad was a lot like yours and I miss him every day. He came and stayed with me near the end of his life (just a few years ago) and with the help of hospice he died peacefully at my home. I am so sorry for your loss. Wish I could have know him. Deanie, this made my day! Thanks so much, we miss our fathers and as someone else said today, Larry Johnson, I think, you will miss him for the rest of your life. True words. Wow–what a beautiful tribute, so heartfelt and true. I never had heard the details of your Phoenix experience, although you had told me back in Alfred days the general outline. That is a wonderful story, and, as always, you wrote it with your forthright and straightforward style. Thanks, Nancy. I am overwhelmed with the responses I’ve gotten to the essay. I wasn’t sure about posting it, but am glad I did.